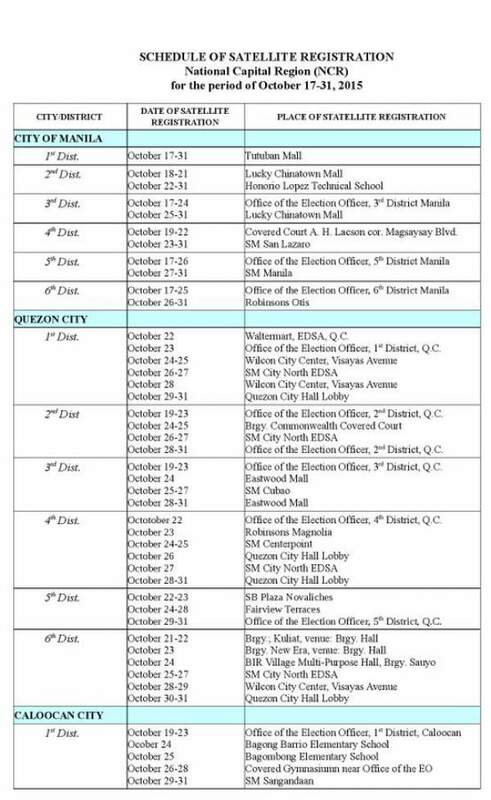 SCHEDULE: Comelec voter's registration and biometrics validation at SM, Robinsons and Ayala malls - Balita Boss! 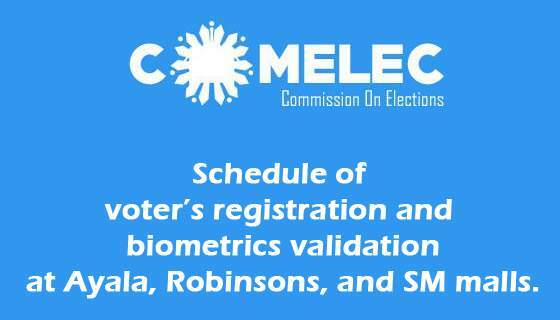 The Commission on Elections (COMELEC) will be conducting voters' registration and validation of biometrics data for the 2016 national elections at SM, Robinsons and Ayala malls. The poll body decided to bring this service to malls in pushing its "No Bio, No Boto" campaign urging voters to register and validate their biometrcics for the 2016 polls. According to Republic Act 10367, or the Mandatory Biometrics Registration Act, passed in 2013, voters are mandated to register or validate their biometrics or be barred from voting in 2016. Biometrics refers to the automated identification of an individual, which includes his picture, fingerprint and signature. Qualified voters in the 2016 elections are required to have their biometrics data to avoid being “deactivated,” he said. 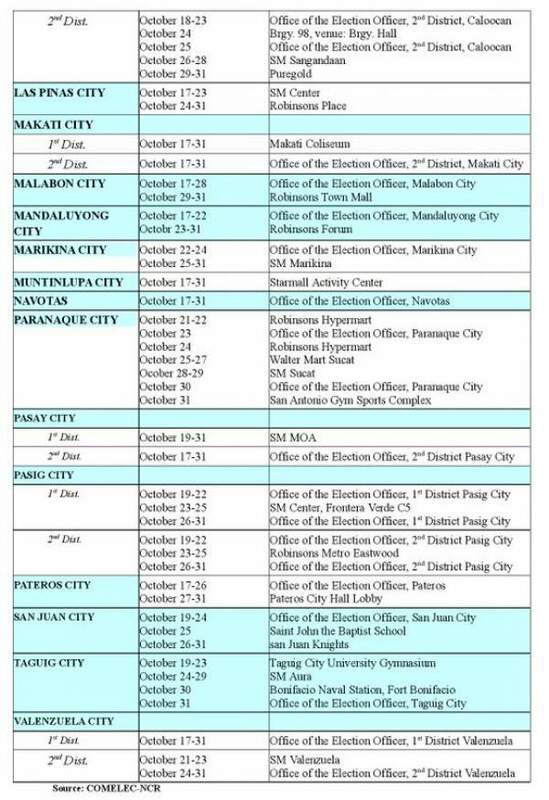 Check out below the schedule of voters' registration and biometrics validation at SM, Robinsons and Ayala malls during mall hours. The COMELEC signed a memorandum of agreement with SM Supermalls on Wednesday, July 1 to allow the poll agency to set up voter registration booths in its 52 branches nationwide. SM Supermalls and(COMELEC) signed a MOA that will open all 52 SM Malls as an alternative venue for a Voters Biometrics Registration program. A qualified applicant need only to appear personally at the satellite registration booths and bring any valid ID with photograph and signature. Voters' registration and biometrics validation for the 2016 national and local elections are ongoing until October 31, 2015. These services are mainly available in local COMELEC offices. VIDEO: A COMELEC reminder "No Bio, No Boto"
A COMELEC reminder "No Bio, No Boto"